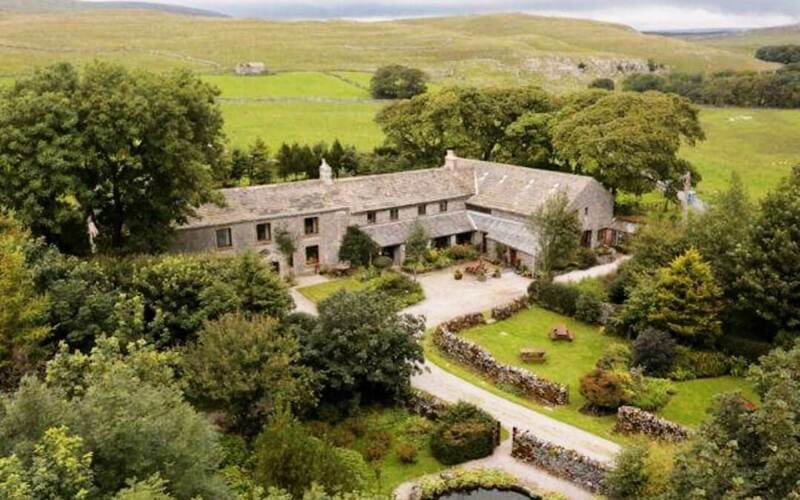 Not long to go now until the Psychologies Magazine retreat on 26-28th April at High Trenhouse, Malham, North Yorkshire. I will be teaching early morning Qi gong and meditation classes both days. So what is Qi Gong? Originating from traditional Chinese medicine, Qi gong (pronounced Chi Kung) is a holistic system of co-ordinated body posture and movement together with breathing exercise and meditation, often used for health, spirituality and martial arts training. Qi or chi signifies life-force energy and gong means skill so Qi gong is the skilful practice of gathering, circulating and applying life-force energy. The human body consists of layers of energy that once understood can be balanced, harmonised and strengthened. Research has also discovered that a healthy human vibrational electrical frequency is within the range of 62-72 Hz and when it drops to lower levels it enables the appearance of variety of diseases. For example at the level of 58 Hz, diseases like cold and flu are more likely to appear. Any activities that improve the vibrational level of the body improve general well-being and its own healing potential. Traditional Chinese medicine believes that the energy body is a template for the physical body, that our emotional energy resonates with life experiences and personal and professional relationships so that our belief systems become encoded in our cell tissue. Scientists have not yet proven the existence of chi, but have confirmed acupoints (gateways of chi along meridians which have a stronger electrical potential than surrounding tissue). All our activity whether it is physical, mental, emotional or spiritual depends on the quality and abundance and free flow of our energy. I teach three classes a week, two to adults and one to children at my studios in North Yorkshire and we always offer early morning classes on my retreats on the Yorkshire Moors. Qi gong combines fluid, precise dance like movements, controlled breath and meditation in one routine that encourage the use of your mind’s eye to visualise your life energy flowing as you move through space breathing in and out. Both adults and children have noticed changes in their well-being and sleep since learning the techniques. Qi gong is great for any age or fitness level but especially suited to our older generation as the exercises can be adapted and is more commonly forming part of the care plan for the elderly worldwide. Offering an efficient and powerful way to maintain health with gentle minimum impact, it’s easy on the joints and can be done by people who cannot access other forms of aerobic exercise or yoga. Extend your hands in line with your solar plexus, place hands together in a prayer position, close your eyes and begin deep breathing. Move your palms upwards as you inhale and downwards as you exhale, this bow action connects you to earth chi. Some of this blog is taken from the energy medicine chapter of my book – “The Gateway – A journey to re-claim your power from stress and anxiety” Hardback £13.99 (ISBN 978-1-9164610-0-0).